Would you like to call internationally from your mobile phone without having to pay the high per minute rates from your cell carrier or manually having to use a calling card and remembering to actually use the card in the first place? 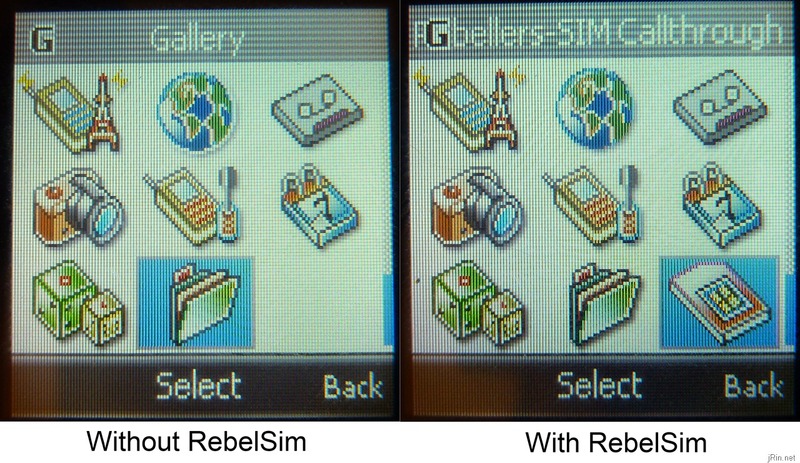 Using the RebelSim Dialer Call through SIM, you can have your phone automatically intercept outgoing international calls to instead first dial your calling card access number, send the number you actually dialed, and ultimately connect your call at a cheaper rate (calling card rate + local minute rate from your carrier as opposed to international rate from your carrier). Usually, when dialing internationally direct from your mobile phone, you will be charged fairly high rates per minute from your carrier such as £1.45/min calling from Tesco UK to US or $1.49/min calling from AT&T US to UK. Then, of course, you have local calls which will either be part your monthly minute plan or generally a much cheaper per minute rate. With international calls, you can traditionally get around these higher rates by using a calling card with a local access number that you can call as a "local number" from your cell phone (UK landline numbers if you live in the UK or any US number if you live in the US). Then, dial the international number through your calling card and get charged "local minute rates" from your cell carrier plus whatever international rates you get from your calling card. 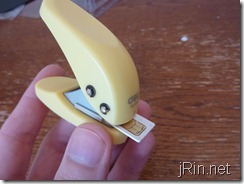 For example, say I wanted to call home to the states from my mobile phone in the UK. Normally I would dial 001 999 999 9999, with the "00" meaning international, "1" meaning the states, followed by the number. With my particular cell carrier (Tesco), this would cost me £1.45 per minute, but with my calling card, it would cost me £0.01 per minute – quite a big difference! Using the Rebel Sim Call through SIM, it will see that the number starts with 00 and it will instead dial the access number for my calling card when I press send to dial that international number. 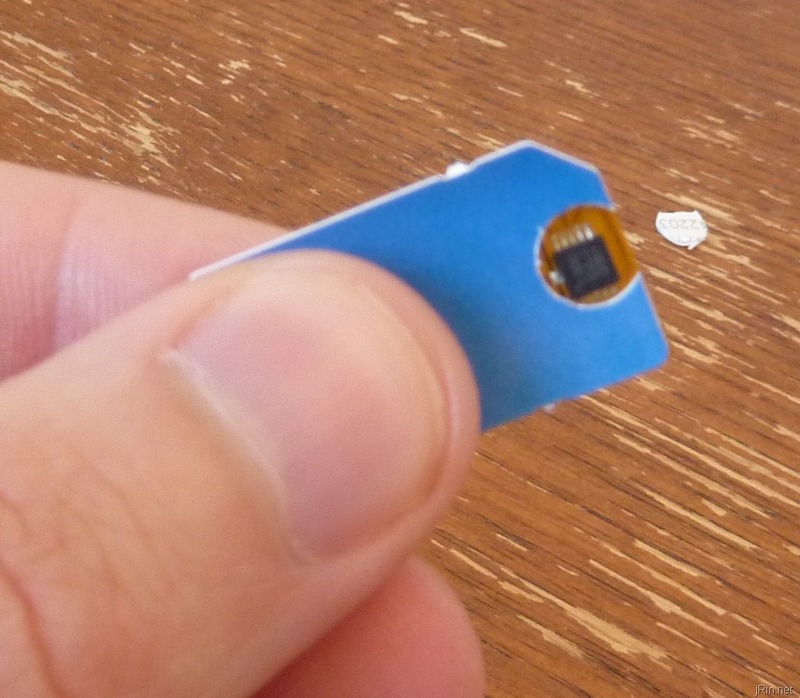 Once the phone has dialed my card’s access number, it is then able to automatically send the digits (via DTMF*) of the number I actually dialed thus completing the international call via my calling card as opposed to directly from my mobile carrier. My call will now cost £0.01 per minute plus minutes from my monthly minute plan as opposed to £1.45p per minute. 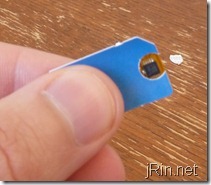 First off, this won’t work if you are using a micro SIM – sorry iPhone 4 users – because the RebelSim is of “normal” SIM size, but it will work for any phone that uses a normal size SIM. 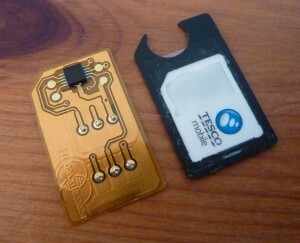 Also, the latest (v2) firmware also does not support entering an ID or pin number, so you’ll need a provider that works by caller ID (you call the access number, and it recognizes your caller ID for authentication for your account); that being said, v2.1 will be released soon which will allow the use of an ID/pin, as well as additional configuration options than the ones discussed later on below. 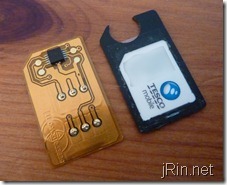 What you have to do first is punch a “hole puncher” size hole in the top plastic part of your SIM card. This is for the chip on the Rebel Sim Call through SIM to fit in between your phone and your normal SIM (you can either buy a RebelSim cutter, or use your own hole puncher). 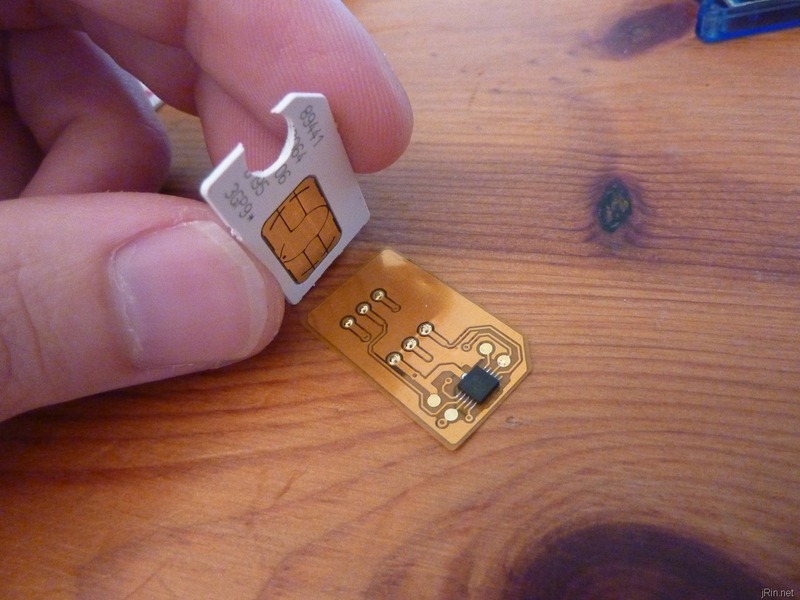 Don’t worry, it’s just plastic on the top of your SIM card – it won’t damage anything and you can still use it even if you are not using the RebelSim. 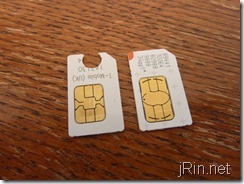 Next, you’ll need to have a calling card or VoIP service that has an access number. Any calling card has an access number, as that’s how they’re setup to work, but not all VoIP providers have one. Personally, I use a VoIP provider as they usually don’t charge connection fees, their rates are easy to understand, and they can be used with a SIP/Soft phone as well. 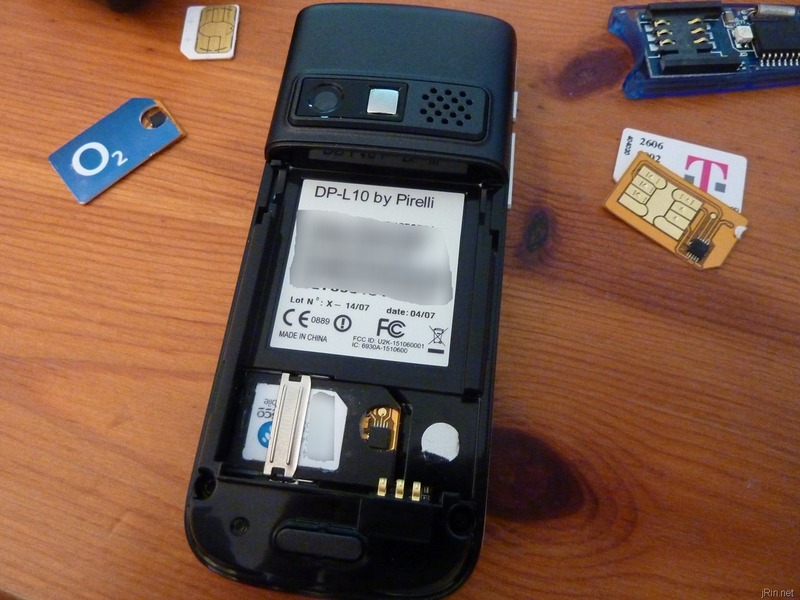 I personally use VoipFone (rates and access numbers) as they allow pin-less usage but there are plenty of others such as Call Centric (rates and access numbers) if you are in the States and VoipTalk (rates and access numbers) in the UK (once v2.1 comes out for the RebelSim Callthrough). Note: which ever calling card or VoIP provider you use must have an access number that doesn’t require you to use a pin since the current firmware of Call Through only supports dialing the access number. All you should have to mess with here is the Editing Number and Dialing Rules. Select Editing Number to change the access number and Dialing Rules to determine when the RebelSim should be used. 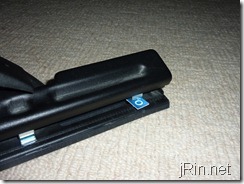 For my particular usage, I use Dialing Rule “00” to use for international calls and Editing Number “02070990707” as the access number for VoipFone.co.uk. Once the call is connected, you hear a dial tone from the speaker (which is VoipFone saying it’s ready for a number to connect to). After a couple of seconds, the dial tone goes away which is when the RebelSim dials the number I actually entered (you don’t actually hear anything until you hear ringing which means the number you dialed is ringing) – and that’s it, you just made a cheaper international call from your mobile phone. 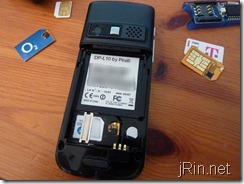 Using the Rebel Sim Callthrough SIM is a great way to make dialing international numbers from your cell phone cheap and easy. Could you simply remember to dial the access number and skip the use and purchase of the RebelSim? Yep! Could you opt to just use a smartphone app to use a data connection and use Voip? Yep! That being said, I like the idea of this “working in the background” because I could then give it to a friend, family member, etc and not have to explain to them how to make international calls or have to worry about someone, or myself, accidentally making an expensive £1.45/min call. 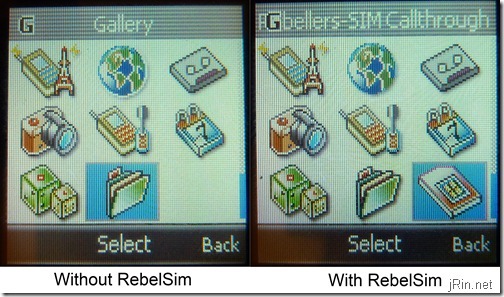 Another useful aspect about this particular Rebel Sim (“Rebel Sim II”) is that you can load 3 different types of firmware on it (providing you have one of their programmers): the Call Through (v2), Call Back (v3), or their HTC unlocking firmware (v1). Plus for £7 + shipping (worldwide), it’s not too bad of a deal!